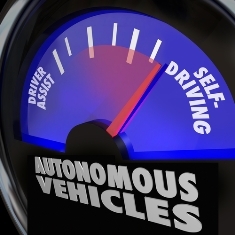 Autonomous vehicles have generated a lot of buzz in recent years, with many industry insiders predicting that the technology is the future of ground travel. In May 2015, that future inched closer to becoming a reality, as the Daimler-owned commercial trucking giant, Freightliner, announced the testing of two self-driving 18-wheelers in Nevada. Essentially a high-tech version of one of the company's most popular big rigs, the Freightliner Inspiration, which is only designed for highway driving, uses a stereoscopic camera to read lane lines and scan an 800-foot stretch of road for obstacles with the help of short- and long-range radar scanners. The trucks rely on a human driver as a backup, and the driver is alerted and takes over when the technology is unable to read lane lines or in the event of inclement weather. Self-driving commercial trucks may make roads safer in the future, but they can't erase the pain and suffering caused by big-rig accidents that have already occurred. If you were seriously injured in a truck accident caused by a commercial driver's negligence, you may find yourself unable to work and struggling to keep up with a growing pile of medical bills. Fortunately, with the help of a knowledgeable personal injury attorney, you may be able to pursue compensation for past and future medical bills, as well as lost wages, and pain and suffering. Contact the skilled legal team with Steinberg Injury Lawyers today for a no-cost evaluation of your truck accident case. We're ready to help you seek any financial award you may deserve.